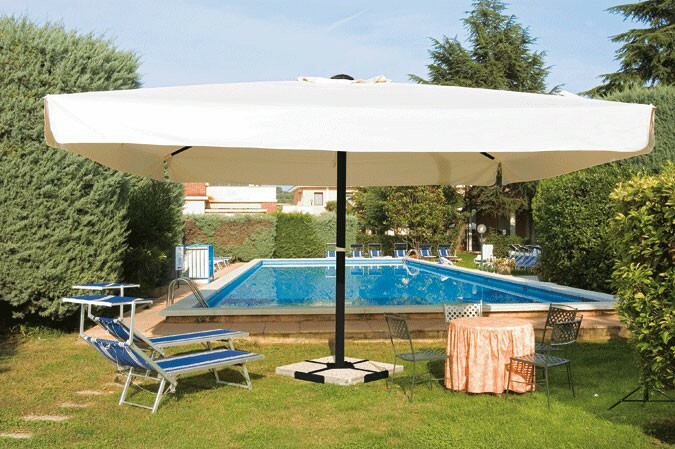 Aluminum telescopic umbrella painted anthracite. 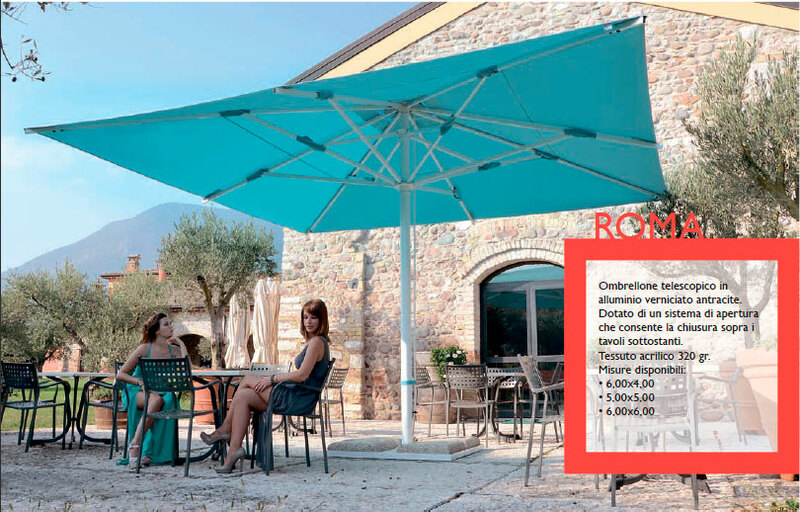 Equipped with an opening system that allows the closure above the tables below. Acrylic fabric 320 gr. Ballast not included.